Immunisation is a highly successful public health intervention protecting individuals across the life course and saving thousands of lives every year. To ensure ongoing public confidence in vaccines and a high vaccine uptake, it is vital that all those who advise on and/or administer immunisations are confident, knowledgeable and up to date. 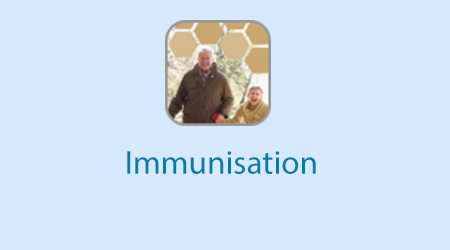 This e-learning programme has therefore been designed in line with the recommendations made in the Public Health England (PHE) National Minimum Standards and Core Curriculum for Immunisation Training. It comprehensively covers the core areas of immunisation with which healthcare practitioners need to be familiar to deliver immunisations safely and effectively and to answer parents’/patients’ questions confidently and accurately. Healthcare practitioners from a wide diversity of professional backgrounds now give immunisations in many different settings and service areas, this programme has therefore been designed to be relevant to all healthcare practitioners with a role in immunisation whether they advise on or deliver immunisations. Most of the information in the programme is relevant for those involved in the immunisation programme in all the UK nations. However, those undertaking the programme in Northern Ireland, Scotland and Wales should be aware that some details, such as the ordering and reporting of vaccines given etc., may be different. This programme consists of seven knowledge sessions with accompanying assessments. It is recommended that those new to immunisation complete all seven sessions. Those with prior knowledge and experience in immunisation may wish to read through the relevant knowledge sessions for refresher training or undertake the assessment sessions to check on their knowledge. Learners may also wish to only undertake the sessions relevant to their role. On completion of the knowledge sessions and assessments, users can print a certificate as evidence of the sessions undertaken. A period of supervised practice to allow acquisition and observation of clinical skills and application of knowledge to practice for practitioners new to immunisation is also recommended, as is the completion of an immunisation competency checklist. Clinical Lead for National Newborn and Infant Physical Examination (NIPE) / Newborn Blood Spot (NBS) Screening Programmes, Public Health England; Consultant, Great Ormond Street Hospital. Lesley McFarlane – Screening and Immunisation Coordinator, NHS England Midlands and East (Central Midlands) North and Central Public Health Team. Viv Hallows and the staff at Ellesmere Medical Practice, Cheadle Heath, Manchester for providing a location for the photo shoot. Many thanks to Lamiya Samad and Zara for participating in the Session 4 videos. If you already have an account with e-LfH, then you can enrol on to the Immunisation programme by logging in to the e-LfH Hub, selecting My Account > Enrolment and selecting the programme. You can then access the programme immediately in the My e-Learning section. The Immunisation programme is also available to NHS healthcare staff via the Electronic Staff Record (ESR). Accessing this e-Learning via ESR means that your completions will transfer with you throughout your NHS career. The Immunisation programme is available for all immunisers to access by browsing our catalogue and selecting the Immunisation programme. You will have the option of registering / logging in so that your learning activity is recorded. Please note that if you do not log in, your activity will not be tracked and you will not be able to generate a record of completion. If you would like to register, so your activity will be tracked, please select the Register button.